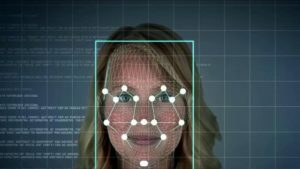 In 2019, Azerbaijan is expected to launch a project for building a face recognition system, Zakir Karimzade, the head of Audatex Azerbaijan, told local Trend agency. The program is being developed by the Digidentity company. The system is already in use in various countries such as Denmark, the Netherlands, and the US. In the UK taxpayers use the program when submitting a tax report. As noted by Karimzade, the system recognizes the person’s identity by checking the individual’s identity card, and then comparing the photo in the certificate with the physical person. If it is a match, the access is granted. He also said that this program may be very useful in Azerbaijan. It is particularly relevant for banking institutions (for opening bank accounts, for instance). It may also prove useful for the tax system in identifying taxpayers. In 2015, this identity management platform was introduced by government bodies of the Netherlands, and was used by the tax and customs administration and the education system for checking the identity of Dutch residents online. In 2015, the platform was used for authentication about 200 mio times by 12 mio individuals.